Stunning craftsmanship combined with an ultra lightweight design. The Izzy is Marimba One's flagship height adjustable marimba. Ideal for both the University setting and the home studio, the Izzy is Marimba One's lightest weight frame, yet extremely durable and rigid. Thanks to the use of gas springs in the end frame, it's virtually effortless to raise and lower the keyboard. Marimba One laser engraves tape measures into the end frames so you always know the exact keyboard height. You can choose to have all wood or black aluminum-and-wood rails. 100% designed and built in California. 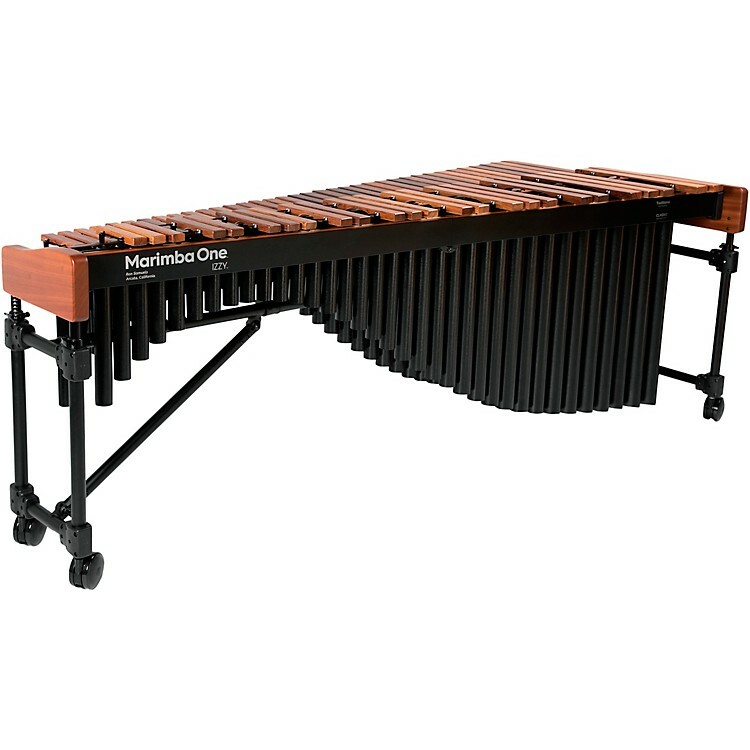 Experience the exquisite build and unrivaled quality of Marimba One instruments.